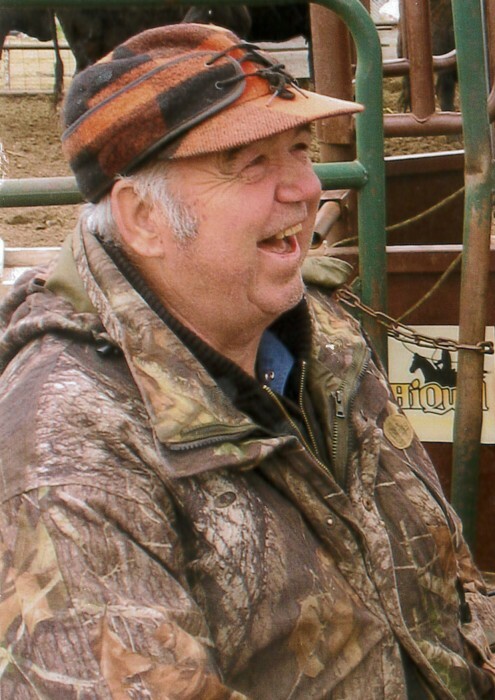 Melvin Ray Fugle, of Cut Bank, passed away March 21, 2019 in Great Falls. He was born September 15, 1934 in Cut Bank, to parents, Donald P. and Eva R. Fugle. His twin brother, Milo Roy, died in infancy. Melvin, along with his siblings, the DeZort cousins and neighbors attended the Meadowbrook School. That shared experience generated rich memories and formed lifelong bonds. Mel was a member of the Cut Bank High School Class of 1953. He met and courted Donna E. Aschim of Sunburst. They were married on November 8, 1958, in Anacortes, Washington. Together they have four children, seven grandchildren and eight great-grandchildren. Melvin spent his life working in the oilfield, and in agriculture. He worked both on oil rigs and later had his own business, Melvin Fugle Vacuum Service. The farm, on Meadowbrook Road, Northeast of Cut Bank, was a great place to raise a family. Mel farmed and ranched with his parents, wife and later his daughter, raising primarily cattle, hogs, and sheep. Today, the 5th generation of Fugles is actively ranching and living on the farm. Mel loved the outdoors and all animals. Fishing, hunting, camping and trapshooting were his favorite past times, shared with dear friends and family. His sense of humor is legendary and the laughter he brought to all will be greatly missed. Melvin was preceded in death by his parents; brother, Donald G.; sister, Shirley Halvorson; nephew, Donald Halvorson; brother-in-law, George Quenzer; sister-in-law, Connie Fugle; and son-in-law, Jim Collins. Melvin’s surviving siblings include Betty (Robert) Grimm, Gloria Quenzer, and Norman Fugle. He is also survived by his sister-in-law Patricia Fugle, brother-in-law, Peter Halvorson and numerous nieces and nephews whom he truly considered to be his other kids. The family wishes to express our thanks for the faithful and loving care Melvin received from the Benefis Eastview Nursing Home staff. Melvin was a member of St. Paul Lutheran Church and a supporter of Glacier County 4-H. The family suggests that any Memorial Donations be made to these two organizations or the charity of your choice. Funeral services will be Tuesday, March 26, at 2:00 PM at St. Paul Lutheran Church. Burial will follow in Crown Hill Cemetery. Visitation will be Monday from 5pm to 7pm at Whitted Funeral Chapel in Cut Bank.